Google has upped the stakes when it comes to breaking into the company’s Chromebook range. The search engine giant will now pay anyone who manages to successfully crack the device over the web an incredible $100,000. That’s up from a previous bounty of $50,000, because Google has yet to have a successful submission for the challenge. 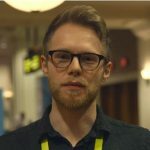 “Since 2010, we’ve happily rewarded researchers who find and report security issues to us through Google’s Security Reward Program,” says Nathan Parker, Chrome Defender at Google. “It’s no secret that Chrome takes security seriously,” he adds. To win the funds, you’ll need to find a way to enact a persistent compromise of a Chromebook in guest mode. The prize is on offer all year round, with no quotas and no maximum reward pool. Do you think $100,000 is a fair sum for hacking a Chromebook? Let us know in the comments.